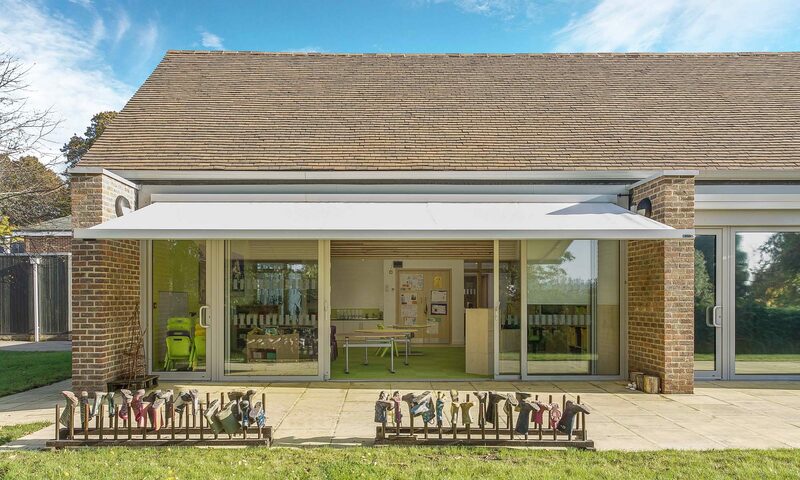 The new extension to Fernhurst Primary School increased the capacity of the school to a full 1FE intake primary school. 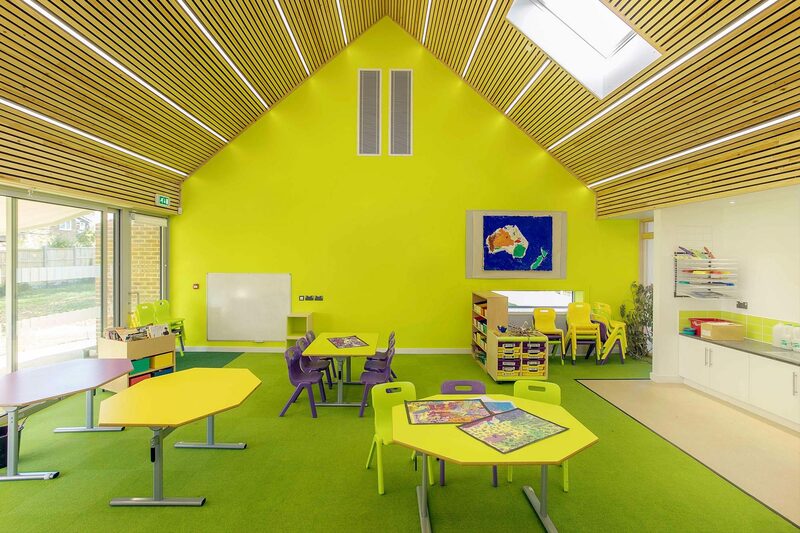 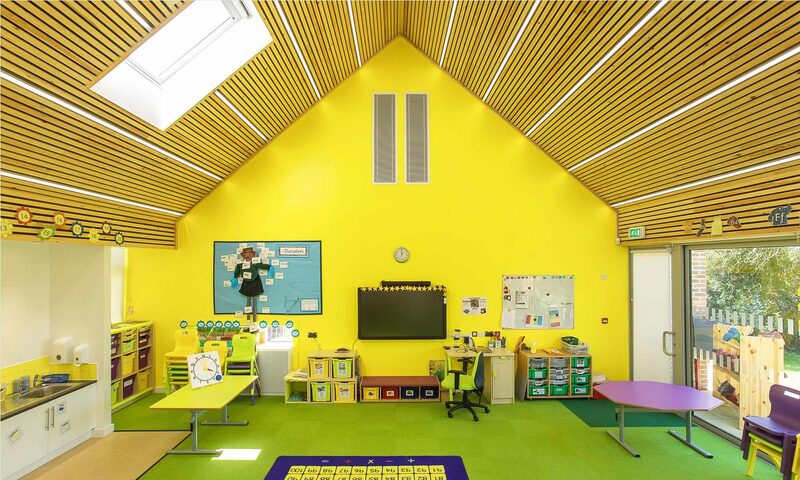 The two new classrooms and new staffroom offer generous volumes with excellent interaction between the inside and the outside and is designed to be a naturally lit and ventilated teaching environment. 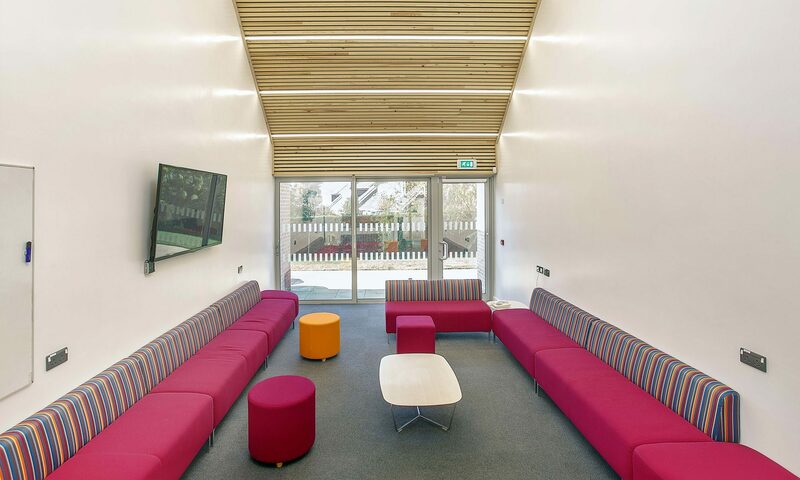 The extension is designed to have circulation and service spaces against the existing building not only to rationalise the navigation around the school but also allowing the served spaces to have an excellent connection to nature. 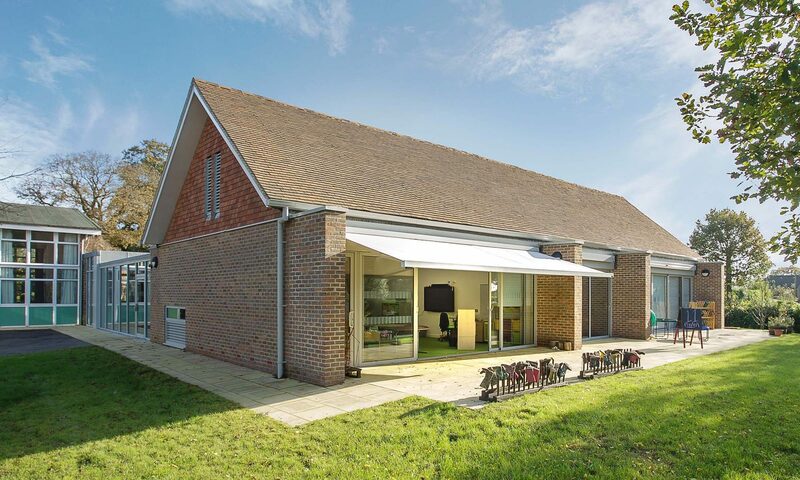 The materials palette reflects the rural site of this village school with vernacular toned brick and tile work and the use of natural wood finishes internally to avoid a sterile and generic solution to a specific school site.